“One-Length” Irons: Is Bryson DeChambeau on to something? An interesting article crossed my desk (well, my seat on an airplane) early this month and it got me to thinking. As dangerous as that may be or as infrequently as it might occur – the thinking part – I am wondering if this Bryson DeChambeau kid might be on to something. 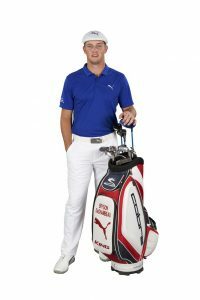 In a GOLF Magazine piece entitled “The Power Of One”, writer Alan Shipnuck examines the concept, focusing on the playing success of youngster Bryson DeChambeau. As a self-proclaimed golf traditionalist, I am about 45 years into my lifelong love affair with the game. Just imagine the equipment we were using 20 years ago! I recall being amazed at how good it was. And further back, I know I was using the “technology of the day”, even when I started playing golf in the early 1970’s. Things have changed immensely and I have benefited as a player from these equipment innovations. I’m beginning to wonder if this concept of consistent length shafts – irons only – has some merit.